I own a pair of grey winter boots and I’m actually pretty happy with them. 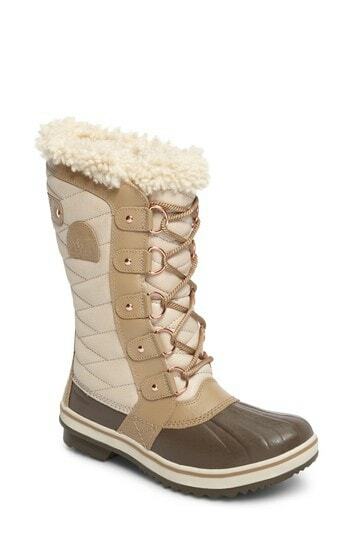 However, when I stumbled across the Women’s Sorel Tofino Ii Boots, I felt like it was my duty to write about them. I love the fact that they are neutral and waterproof! More times than not, you will find me in one of 5 colors – black, brown, beige, navy or grey. Yup, I’m as boring as they come. But I like to stay within my color scheme because it makes it so easy to mix and match. These boots will work with almost everything I own (except for grey pieces) which makes them very functional. The Sorel boots retail for $190 which makes this a pretty high-priced purchase for my blog, but I think when it comes to winter gear, you have to buy quality products. Since you probably won’t wear these too often, you will get several years out of this purchase as well …making it a sound investment for sure. Do you have winter boots? Are they waterproof?